You are here: Home › Welcome Wendy! The BEF is pleased to welcome Wendy Hauswirth to our team as part-time Alumni and Events Manager. Wendy comes to us with extensive experience in alumni relations, event planning and fundraising, having worked at Columbus Academy and UNC-Chapel Hill prior to staying home with her children. 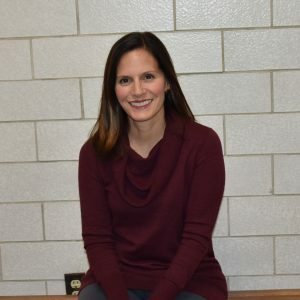 During her “off-years,” she has been an active volunteer and board member with numerous organizations including the Junior League, Pleasure Guild, Kitchen Kapers, and Upper Arlington’s Barrington School PTO to name a few. Prior to joining the BEF, Wendy served as Executive Director for Breath of Hope, a local non-profit raising funds and awareness for lung cancer research. Wendy lives in Upper Arlington with her husband, David, and middle schoolers, Charlie and Kate.